Silky, light weight go-to foundation. Topped off with powder is even better. Love the mineral powder foundation and now I love this! I use both and my face looks amazing all day and never dries me out and I have very dry skin. Finish with the setting spray and you are perfect for the day well into the night. Wearing any other liquid foundation makes me breakout the next day so I am happy I have found one that does not make me break out. I also love how creamy it is and how it does not seem or feel cake-y. It is perfect. I love this product. It's so light and lasts all day long. This product is so smooth and creamy! Goes on so easy and provides light coverage. 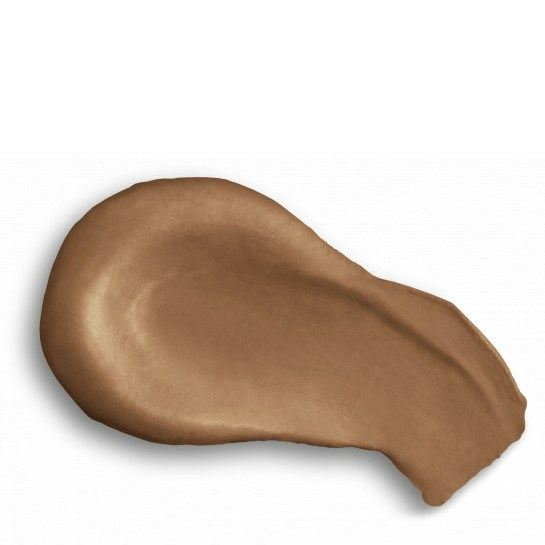 This foundation can be worn without any other makeup. It feels great on your skin. Applies well. Wish for wider range of colors. The best liquid foundation on the market! The Tint Du Soleil is really the best liquid foundation on the market! The color is great for every type of skin tone. It hydrates, covers and gives a nice glow. I love the whipped foundation. I will not use another brand after having discovered this foundation 4 years ago. My favorite for the summer months. The whipped foundation is wonderful. It is smooth and covers all over the face. Feels very light. By far the best, natural looking product for my skin. Such a great foundation, super light and provides great coverage. Can be worn alone or combined with other products. Highly recommend. Received a couple of samples of this product from other purchases. Love it. Perfect alternative to the presses foundation when my skin is dry. I cannot believe I waited so long to try this product! I love the primers and decided to give this a try and was not disappointed! It goes on sooo easy and stays put all day without settling into fine lines and wrinkles. Such a nice alternative to chemical foundations! Love. Absolutely love this product! Gives a nice amount of natural looking coverage along with the SPF which feels nice and light! Not thick or cakey. Smooth & easy to apply. Skin feels healthy & hydrated, not greasy! I love this it doesn't feel heavy and the color match is right on, also it have perfect coverage! I will buy this soon! Very smoothing to your face! Best Liquid Foundation out there. Of every brand I have tried, this will remain the best I have used. Creamy & hydrating foundation with SPF! This is the best creamy and hydrating foundation. Not too greasy at all. It goes on smooth and covers imperfections well. I highly recommend! I love the texture of this foundation. It holds up well to my super oily skin BUT the fragrance triggers headaches every time I try to wear it. Even if it didn’t, the flowery smell is not nice, but the headaches are a deal breaker. Great Coverage and great for your skin! I love the tint du soleil! I use the medium shade! It gives me the perfect coverage everyday!! And It gives me the much need spf everyday in the Florida sun! My face looks natural and feels smooth! And the squeeze tube applicator is a plus, so you get every last drop! So easy, fast, and effective for a really natural look plus protection. You Will Never Use Another Foundation Again! This is the best foundation ever! A true medium coverage. Perfect for everyday wear and looks so luminous! This is a nice product that feels good on my dry skin. I blend 1 pump of medium and a 1/2 pump of tan to create a color that works best for me, applied on top of the Even Up and followed with the compressed powder foundation to help diffuse laser damage caused from a plastic surgeon. It doesn’t completely hide my hyperpigmentation, but does help without looking artificial or too heavy. Perfect coverage, sunscreen protection and hydrating without being oily. Will buy again. My face looks 10 years younger! This product is great for my blotchy imperfections! I use this as a multi-purpose foundation...covers amazingly, perfect to be used as a foundation or just a moisturizer.LOVE! The only foundation I will ever use. I just can't ever see myself ever using anything else. I love how it makes my skin feel. At 63 I went to a dermatologist for a cancer screening. I was introduced to colorscience and decided to give it a try. I love this foundation. Covers, is light, and protects at the same time. I love the glow I get with this product. I mix a pump into whatever else I’m putting on my skin everyday. Perfect! I absolutely love this foundation. It doesn't settle or make my face look shiny. It's the perfect match for my skin tone yet still gives me lightweight coverage. I live this foundation, but please, please, please formulate a shade for fair skin. I am a redhead, and the light shade is too dark for me. I have to lighten it by mixing another make-up brand's super fair foundation with it. Please consider adding a Fair shade to this awesome foundation. I found the tinte du soleil a bit too matte but a good color. Mixed a bit of moisturizer into it before application and wonderful! Light and quickly absorbed--this is my favorite daily foundation for moisture and sun protection. The light scent is very pleasant. This is one of the only products that does not make my face look or feel cakey! It has great coverage, appears smooth on the skin, and lasts all day! I love to top it off with the Sunforgettable Brush On Sunscreen! I love the coverage that this product gives me. It's light weight and the creamy texture protects my skin while giving me coverage. It stays on all day and I don't have to reapply. This is the best ever foundation. Smooth, easy to apply, and lasts all day. Love it! My skin looks natural, not like I am wearing a foundation. It covers imperfections and looks as good at 3PM as it does at 6AM! Takes so little of the product to do so much. Perfect coverage and color match every time. Cannot say enough about this product! This product goes on smooth and stays on all day long. If I had to choose my #1 product, this is it!! If I had to choose my favorite piece of makeup, only 1 thing to keep with me everyday...this is it!! My skin varies from dry to oily daily but this product always covers and matches my skin perfectly!! I absolutely love the way the whipped foundation calms my redness down and never looks shiny. I love love this foundation. It applies smoothly on skin, and gives a very natural look. With one pump on fingers, can cover a lot on the face. I highly recommend this product. I also love the SPF on there, it helps protect my skin and the ingredients do not cause my skin to break out. I absolutely love this foundation. Goes on smoothly and lasts all day. Tint Du Soleil does not go on easily at all. It is thick and feels like puddly and is difficult to apply. It highlights every wrinkle on my face and absolutely does not feel creamy whatsoever. Best foundation I've ever used!! I used to be an it! 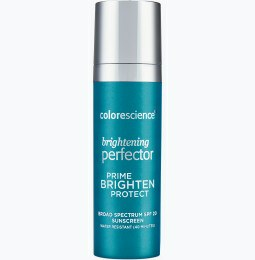 Product girl.... but now I am hooked on Colorescience for a perfect base for everyday use!! I absolutely love the tint du soleil spf 30 whipped foundation! One pump is enough on my face and it gives me a nice and natural coverage. It has peptides and I can feel that my skin is smoother. Love how smoothly it goes on. Great light coverage. Water proof is a wonderful bonus! This is the smoothest foundation. Great coverage. Blends well. First time wearing this and I love the way my skin feels and looks, just ordered some more products, now that I know how wonderful this is!!! Definitely will buy again!! The quality is definitely worth the price!! Perfect to protect from the sun and I love it because it is water resistant (40 minutes), which helps me to swim and be protected at the same time. I really like how smooth this goes on. It has the added bonus of an SPF!! Tint du Soleil is by far the best foundation I have ever used. Perfect coverage that doesn't settle into wrinkles or fine lines and gives my face a noticeable soft and dewy look. So noticeable in fact that people I don't even know have commented on how smooth and youthful my skin is. Shhhh, I'm 59. It is so creamy and just melts into the skin! I still use a perfector under it and it layers nicely. I finish with the powdered sunscreen and it's a lovely finish. I get plenty of coverage without being cakey. Wow!! My skin looks great! like nothing foundation! I like that the coverage is good but it's light. Plus, SPF 30? Fabulous! I love this product! So smooth and creamy and great coverage. Not too heavy! I love the design of the tube also. I can get every last bit of it! This delightfully light and fresh foundation is the foundation I had always hoped to find but never have until now. Unbelievable natural looking coverage with no settling in my fines lines. The biggest bonus is my skin looks dewy and feels like silk. I love it. I absolutely love this foundation. Look so flawless. I love using this when I am going out for a walk before getting ready for the day! It is so incredibly creamy...love it! It's surprisingly light and creamy. My skin feels so soft after I apply this and I'm also protecting my skin with the SPF! Lightweight, creamy, buildable and flawless! My absolute favorite!! I have a lot of trouble spots. Layering products like this one helps address those concerns, but without heaviness or caking. Super smooth and adds the needed sunscreen. Excellent product! Warm up your Colorescience Even Up and Tint du Soleil first. Love the application process! Fun daily routine and the products feel smoother and luxurious! 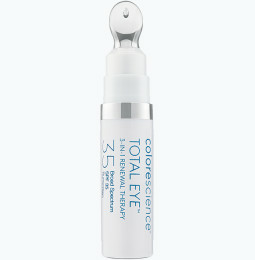 Colorescience is the best makeup period. This stuff seemed pricey to me but I tried it because I adore their compacts and I won't go back. I bought one tube and it lasted me about four and a half months. I only used one pump and then set it with the compact. I used this on vacation when I "wasn't wearing any makeup" and I use it everyday when I go to work. It protects my skin, seems to moisturize it, and make the tone look even and smooth. I love this foundation; it's my go-to product every day. Goes on smoothly, lasts all day. LOVE IT! I have combination skin and really loved the texture of this product and how it felt all day on my skin. amazing product. goes on smooth and doesnt even feel like you are wearing anything. but it has great coverage! it is my go to! Such a wonderful creamy foundation! It sets nice even in my oily t-zone. Worth it all the way! Wonderful product. 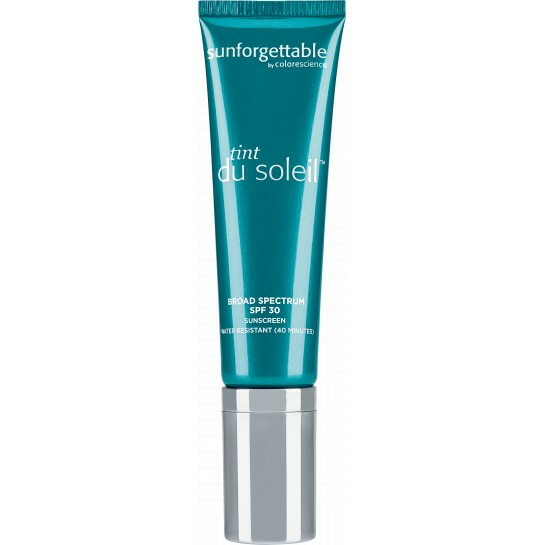 When I know I'm going to have a lot of sun exposure, I use the Soliel and finish with the Sunforgettable SPF 50. My face feels clean even with the doubling of products, and I haven't had a rash or break out since I've used Colorescience. Nice and creamy foundation. I use the light and the coverage is great. Wish it was in a bottle instead of tube, but it is a great product. I wear this everyday, cover great! I love love love this product !! The light looks great on my very pale skin! Smooth finish too! Took this to Mexico & did not burn! Love the texture & the protection! I looked lovely swimming w a little coverage! Love this! It's the perfect shade and great for those with dry skin as it's very moisturizing. With my purchase I received samples of Even Up and when I wore both together my skin looked amazing. I'm considering purchasing Even Up, but it is pretty expensive. I definitely recommend both products! I can't live without this product, I have never found another foundation that felt so good and light on my skin and yet provided such full coverage!